Chemica Stardust is a thin, soft and very stretchable cuttable heat transfer flex vinyl with subtle metallic accents that sparkle in direct light. 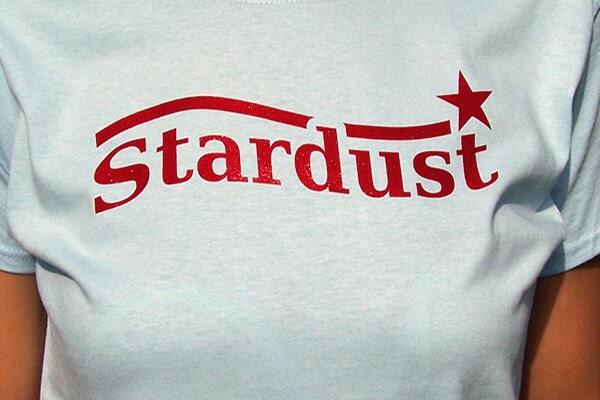 Stardust is ideal for application on fashionable custom apparel and performance wear. Construction: 3.6mil (90 micron) PU vinyl on white polyolefin coated paper liner. Instructions: Cut reverse image with a sharp 45 degree blade. Press with medium pressure @ 284-302F (120-150C) for 6 seconds. Peel warm after 10 seconds. Care Guidelines: Machine wash inside out in cool/warm temperature (140F max), line dry or tumble dry. Do not dry clean. Ironing on backside. Storage of the roll: vertically, one year in a dry room, 60-85F, protected from sunlight. After heat pressing, wait 24 hours before first wash. Suitable for cotton, polyester, cotton-polyester blends, Lycra, acrylic and similar fabrics.